ETP Classic is a general purpose locking bush used in a wide variety of applications to fix hubs, cams, gears and sprockets to shafts. The Classic R design is a hardened stainless steel bush, with the same principles as the unique ETP classic bush.  Industrial Clutch Parts Ltd. holds stock of ETP Classic Locking Bushes, available and stocked in the UK for quick delivery. The Classic design is suitable for a large variety of applications, for mounting timing belt pulleys, cam curves and arms etc. ETP classic type R is assembled in the same way as the standard ETP classic, but is made from stainless steel. The type R has rust-free hexagon screws, which can be more easily cleaned - an essential feature for the food processing industry. Due to the use of rust-free screws, more retaining screws are required. The connection between the hub and shaft is easily adjustable, both radially and axially, and backlash free. Therefore, positioning along the shaft is easy and fast with high precision. When the screws are tightened, the sleeve expands evenly along the shaft and hub and creates a secure connection. After the screws are released, the sleeve returns to its original dimensions and can be easily removed. ETP Classic Locking Bush has small built-in dimensions and reasonable surface pressures to allow for small outside diameters for the hub. Assembly and disassembly is quick and easy, saving time and money on maintenance operations.